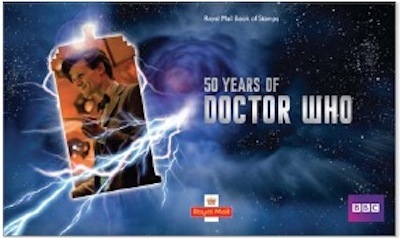 "A word of warning to anyone hoping to design and produce their own covers, copyright issues surrounding Doctor Who are the strictest I have ever come across. 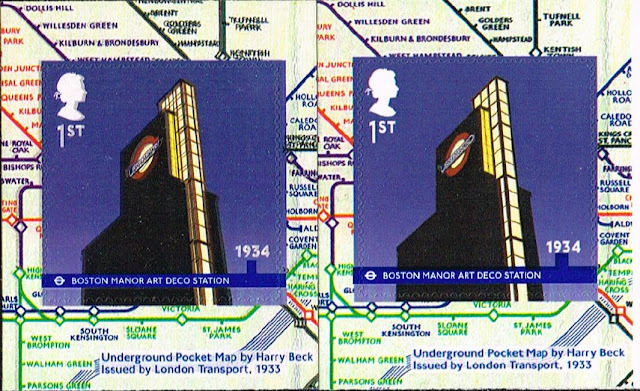 "Do not under any circumstances be tempted to put any image or wording on your covers relating to Doctor Who or the BBC. ..... A licence for just mentioning Doctor Who or anything to do with Doctor Who is £1000. The BBC will vigorously pursue through the courts anyone infringing copyright. So you have been warned. 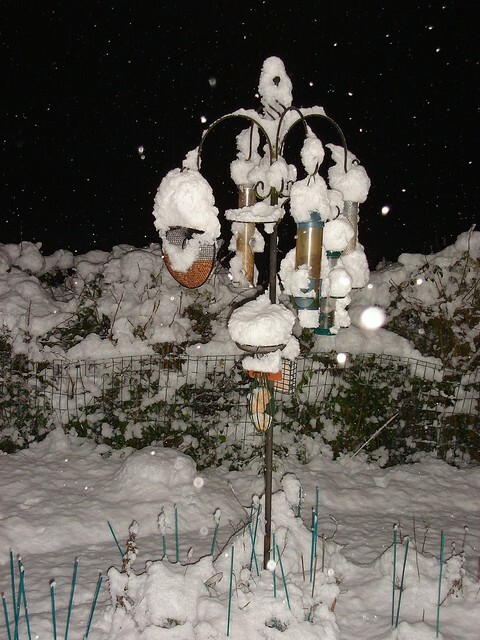 It is a minefield like no other." 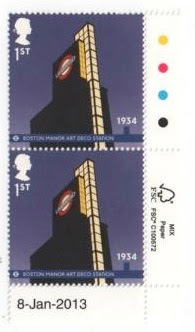 So aside from some retro televisions, I suspect there will be a lot of covers showing other generic images such as this! 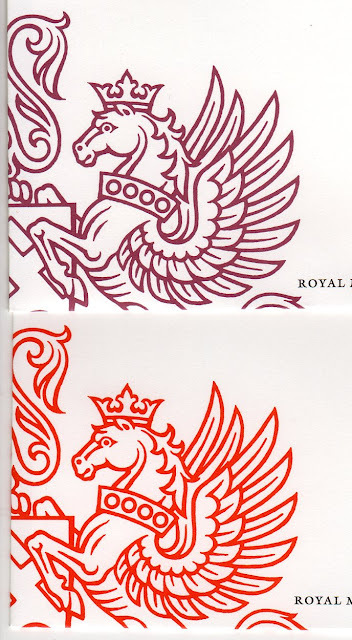 A reader has pointed out to me that Royal Mail changed the colour of the official first day cover for the 3 January "new palette" Machin definitive issue. 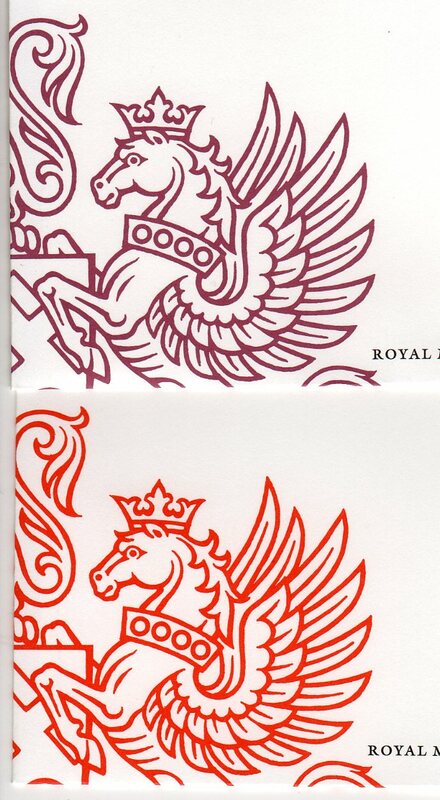 This wasn't obvious in the information we received, but I have now obtained one of the new covers and show it here in comparison with the older, maroon, colour. 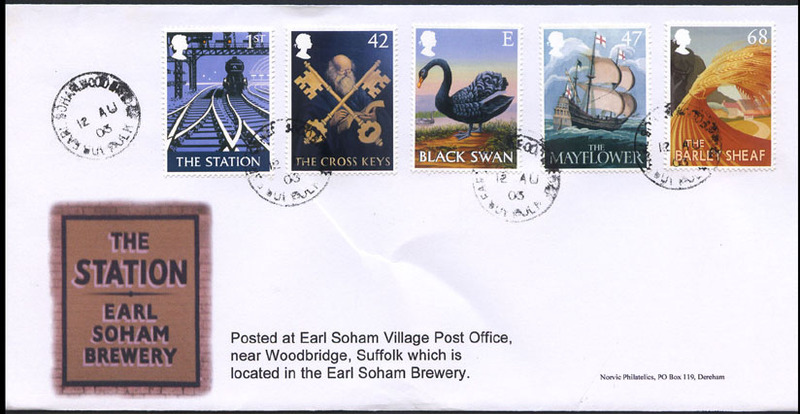 All our customers have FDCs on the older covers that we had in stock, but as we have only two left, we will be using the new colour for any new versions of the Machins issued later this year. 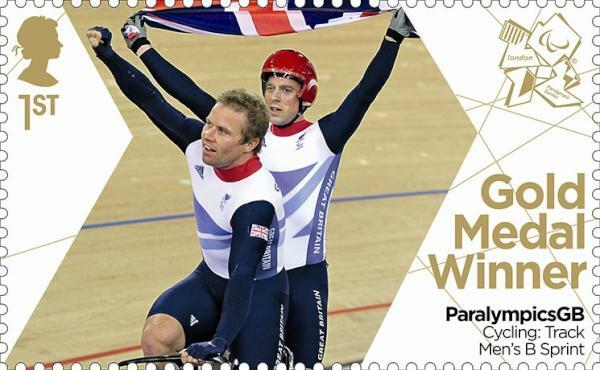 Paralympics Gold Medal Stamps sold out before end-of-sale date? 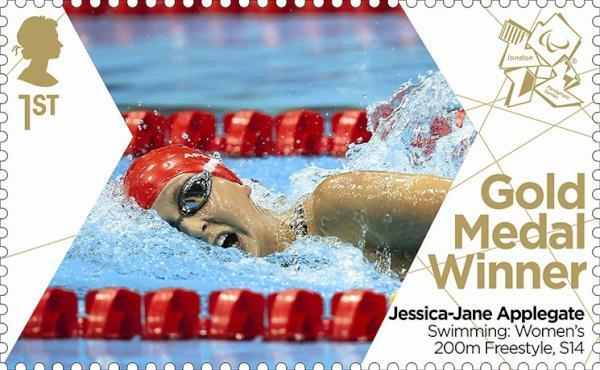 We understand that some of the Paralympic Gold Medal stamps were sold out before they were taken off sale at the end of December. 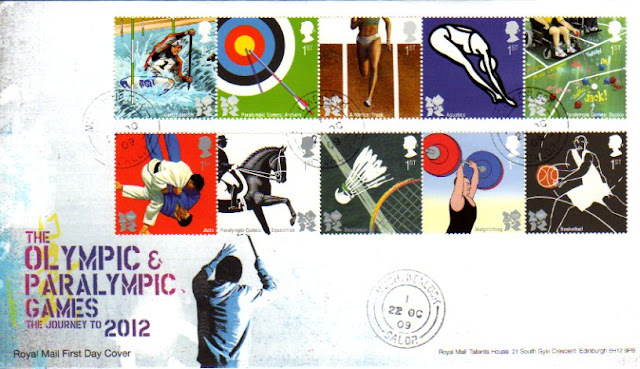 As reported, the arrangement between Royal Mail and the International Olympic Committee ran from 1 January 2009 to 31 December 2012, and there was a flurry of orders to Tallents House before the cut-off date, which of course coincided with the Christmas/New Year holiday. It's reported that some orders could not be fulfilled due to stocks of one or more sheets of Paralympic Gold Medal Stamps (containing stamps for 4 different medal winners) being already exhausted. This suggests that the Paralympic stamps may be more scarce than the Olympic. 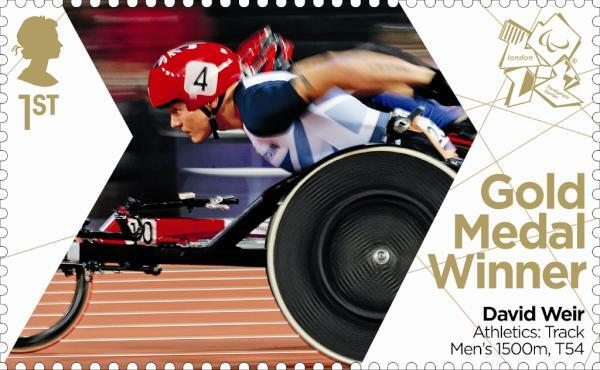 We know someone who has access to competition mailings who has completed many sets of Olympic GM stamps on cover, but is struggling to find a single complete set of Paralympic GM stamps. 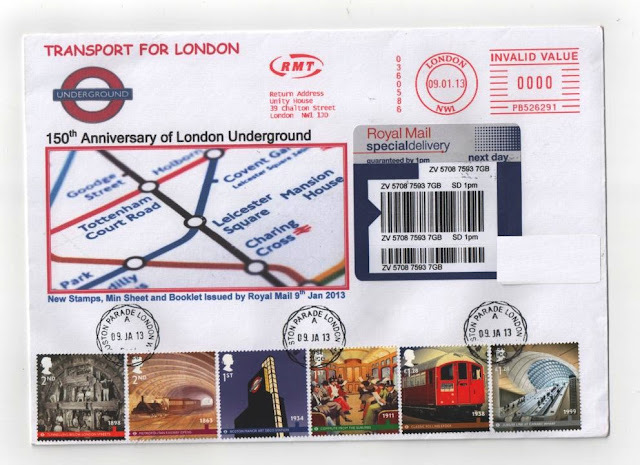 Once again philatelists and first day cover producers have been frustrated by the inability of our Post Office to follow its own rules regarding Special Delivery mail. Although the number of collectors of first day covers has been declining for some years, the die-hard collectors often go to extreme lengths and expense to produce something different for their collections. 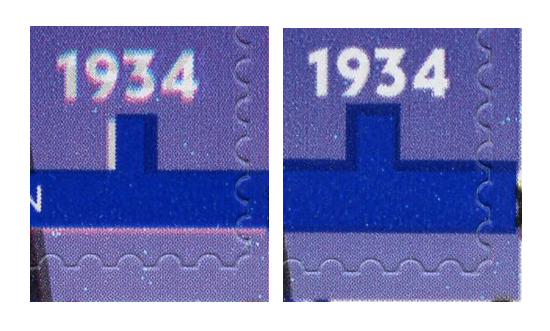 Some design their own first day covers and they, and others, often seek out appropriate post offices at which to get their covers postmarked on the day of issue with the office's counter datestamp (CDS). 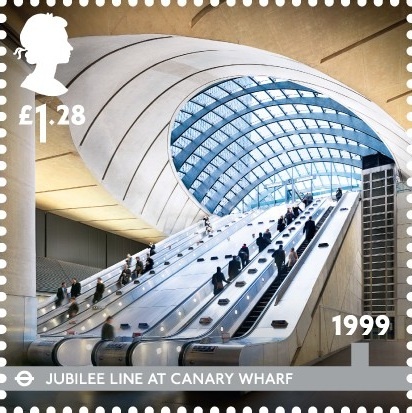 This usually means paying more than the face value of the set, as normally only special delivery items (current minumum fee £5.90) are cancelled at the counter. The London Underground stamp issue presented some perfect opportunities to get covers postmarked in this way. 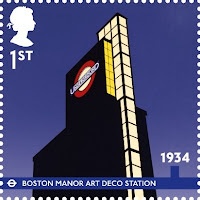 Relevant post offices included Boston Parade (London W7) - relevant to the 1st class Boston Manor stamp, Farringdon Road PO, relevant to the Metropolitan Line, and Canary Wharf PO, relevant to the £1.28 Canary Wharf stamp. 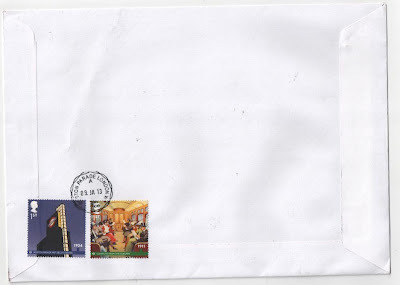 However, somebody in PO HQ has send an instruction of PO Branches which meant that yesterday some of those branches refused to accept first day covers for special delivery and cancellation with the branch's CDS. 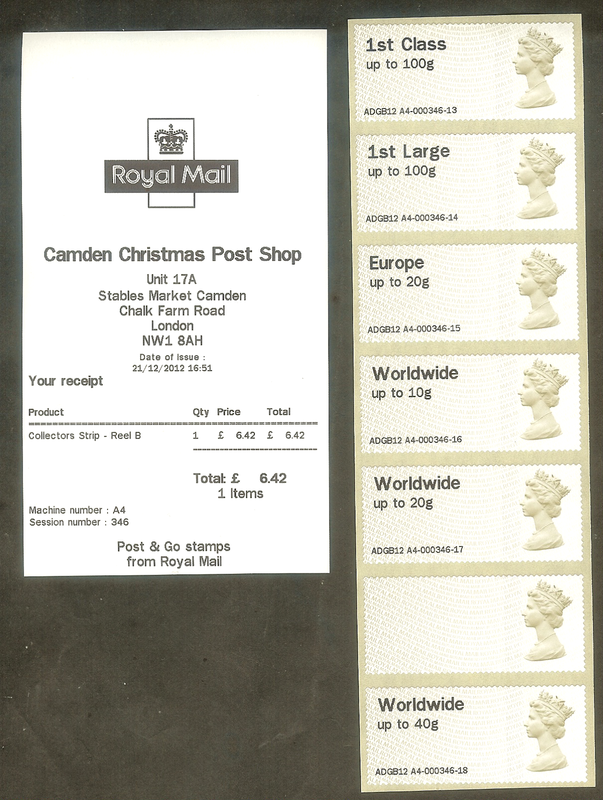 One branch postmaster told one of our customer that he could accept other items with those stamps for special delivery and CDS postmarking, or could accept them on another day(!) but that any first day covers had to be sent to the special handstamp centre to get the official first day of issue postmark. Attractive as it is, that isn't what the customers wanted. The customer called Post Office Helpline from the branch, but was unable to make the customer services assistant understand the nature of the problem. As this is now the subject of ongoing discussions you can expect to see more here soon. But if anybody has had their FDCs rejected from the special delivery service, do not despair - please let me know by email (ian@norphil.co.uk) which branch is involved so that we can establish how widespread the problem is. 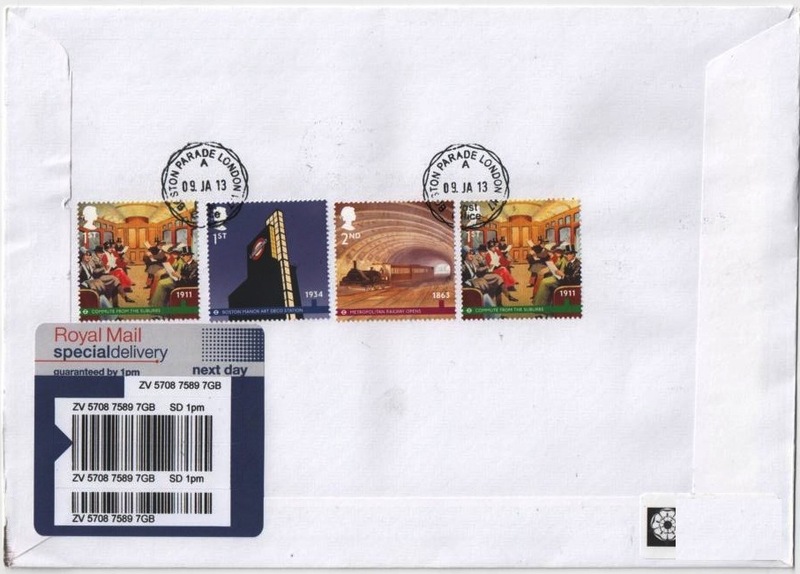 UPDATE 11 January: We are still in discussions with Post Office Ltd who seem to be accepting that a misunderstanding occurred, and I am confident that we will see a resolution. More details will be noted as soon as possible. 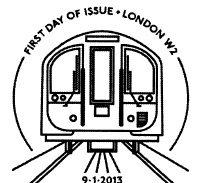 Here is a Special Delivery cover which was properly serviced on 9 Janaury, at Walthamstow Central, E17. It was produced by Chris Sutcliffe and although he has none available to sell you can find his website here. 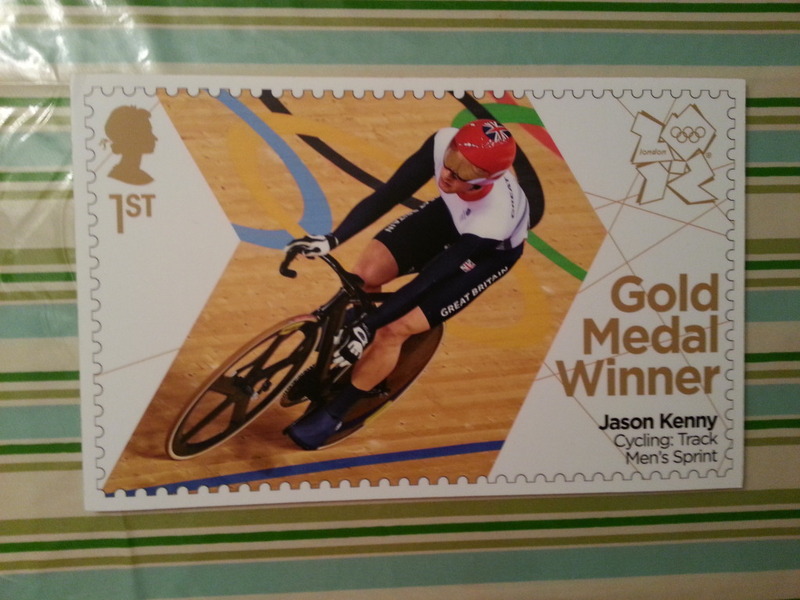 And here are some examples that we have done in the past, and some currently for sale on eBay. Sorry for the confusion, people. There was a misunderstanding between Royal Mail (who donated these promotional enlargements) and the seller, but all is now sorted out, and the items are back on sale and have bids already - oh and if you are on twitter or facebook please send a link to this blogpost or to the items on eBay! 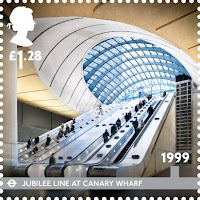 You may know that Prostate Cancer UK was supported by Royal Mail during 2012, particularly making an appearance on slogan postmarks in Movember. Now there's a chance to obtain some unique Olympic stamp memorabilia currently on eBay, and for the next 10 days -- the auction is now closed and the sale realised just over £240 for charity a sum which was matched by Royal Mail. Thanks for looking. The items for sale are blow-ups of the stamps, produced by Royal Mail for promotional purposes - they are high quality photographic images on PVC Foamex backing card. 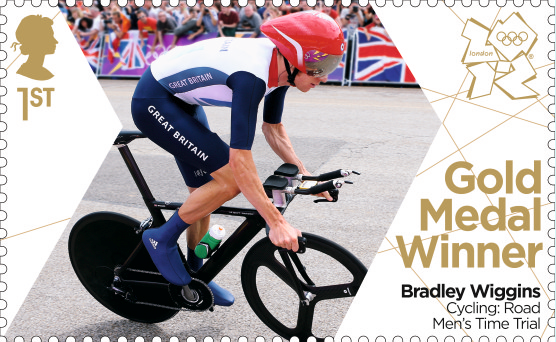 This is a rare chance to get something most unusual to add to your Olympics collection! 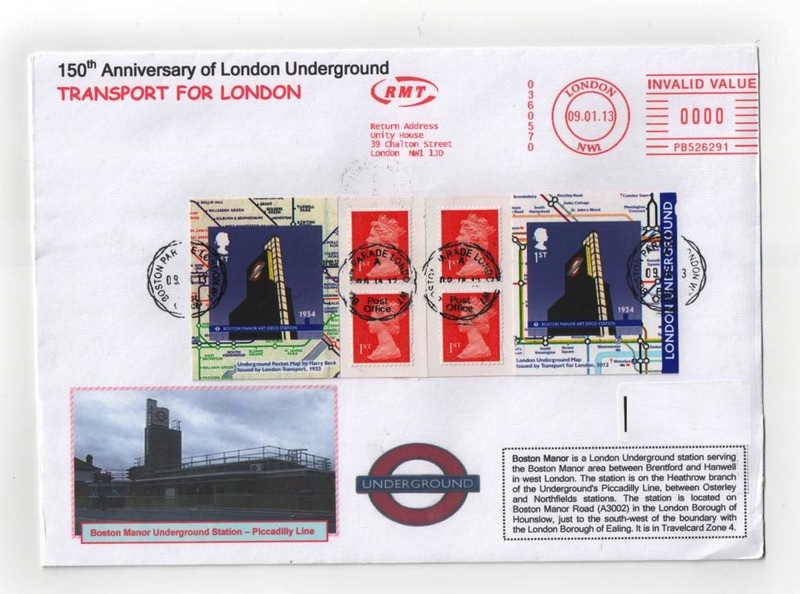 Anthony Joshua, Ben Ainslie, Alastair Brownlee, Dave Weir, and two stamps from the 'Welcome' miniature sheets, the 1st class Tower Bridge Fencing, and Athletics/Olympic Stadium. 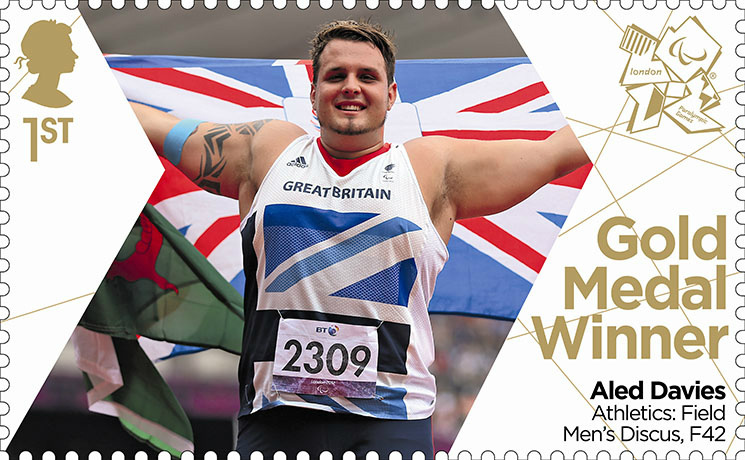 Money raised will go towards the seller's London Marathon fundraising run for Prostate Cancer UK, and all sums will be matched by Royal Mail - see Calvin's facebook page here.